BOOKOFF CORPORATION seeks to contribute to society in various ways through books. 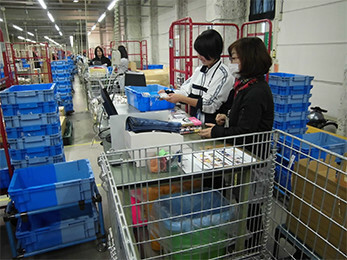 The BOOKOFF Group launched a Sell to Support program in which sales using the Takuhonbin service for selling items to BOOKOFF using parcel delivery for books, CDs, DVDs, video game software, and other items people no longer need are used to support persons who suffered injury or damage from the Kumamoto earthquakes. After the disaster, the BOOKOFF Group donated ¥10 million to the Japanese Red Cross Society and also launched the Sell to Support and Support for Mobile Libraries in Tohoku activities to provide support through books, CDs, DVDs, and video game software. 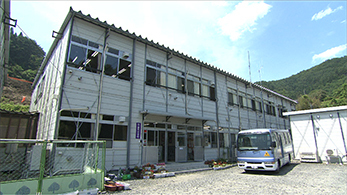 As part of our support for recovery from the Great East Japan Earthquake, we donated 3,000 books to help rebuild the Toni Junior High School in Kamaishi, Iwate Prefecture, as part of the Miraculous Renovation of Damaged Schools segment of Nippon Television Network’s 38th “24-Hour Television” telethon. (2)	Support for mobile library activities. In 2010, the Books to the People project opened 4 libraries and 24 library rooms in Sri Lanka. Donations from the Books to the People project made in August 2009 were used to open 3 libraries and 18 library rooms in Sri Lanka. 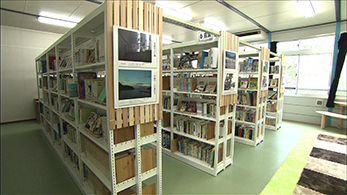 The Bridges through Books project is a collaborative effort of BOOKOFF CORPORATION and Kanagawa University that combines commercial and academic activities to contribute to society. By donating books written in Japanese to persons studying Japanese in Japan or overseas, this project attempts to deepen people’s understanding of Japanese culture and promote reading activities in children and students. The BOOKOFF Group provides workplace experience learning opportunities for local junior high school students at BOOKOFF stores across Japan and at BOOKOFF Online, the operator of our e-commerce website.